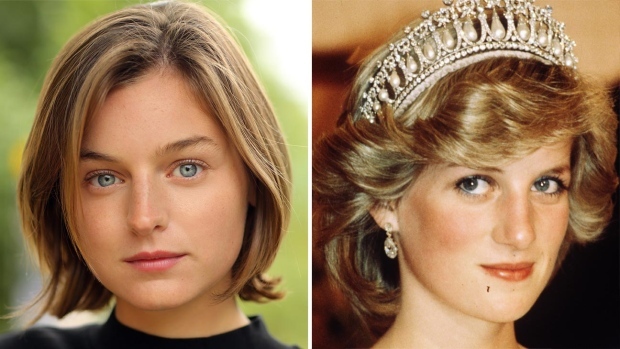 Newcomer Emma Corrin has bagged the role of Lady Diana Spencer in the show The Crown. Honoured to be a part of the Netflix show, Corrin said in a statement, "Beyond excited and honoured to be joining 'The Crown' for its fourth season. I have been glued to the show since the first episode and to think I'm now joining this incredibly talented acting family is just surreal." Corrin considers Lady Diana her "icon" and she hopes to do "justice" to the role. "Princess Diana was an icon, and her effect on the world remains profound and inspiring. To be given the chance to explore her through Peter Morgan's writing is the most exceptional opportunity, and I will strive to do her justice," she added. Creator Peter Morgan described Corrin as a "brilliant talent" who "immediately captivated" the casting director. "Emma is a brilliant talent who immediately captivated us when she came in for the part of Diana Spencer. As well as having the innocence and beauty of a young Diana, she also has, in abundance, the range and complexity to portray an extraordinary woman who went from an anonymous teenager to becoming the most iconic woman of her generation," he said. The upcoming third season of The Crown will focus on the Wilson era - the 1964-1970 and 1974-1976 terms of Prime Minister Howard Wilson - and the fourth season will revolve around former British Prime Minister Margaret Thatcher and Diana, reports hollywoodreporter.com.